Situated in Manunui, this golf motel is within 9 mi (15 km) of Taumarunui Domain, Rangaroa Domain, and Taumarunui Golf Course. Whakapapa and Whanganui River Confluence and Ohinetonga Scenic Reserve are also within 9 mi (15 km). 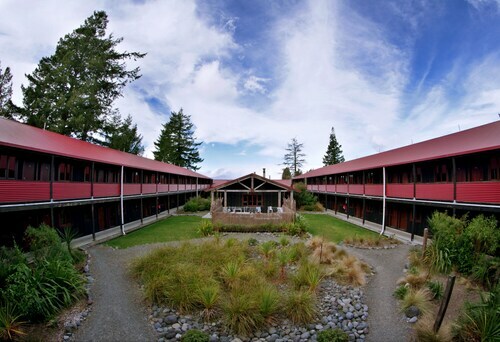 Conveniently located near the ski slopes, this National Park Village hotel is within 16 mi (25 km) of Taranaki Falls, Mangatepopo Trail Head, and Whakapapa Ski Area. Iwikau Village and Tongariro Alpine Crossing are also within 25 mi (40 km). 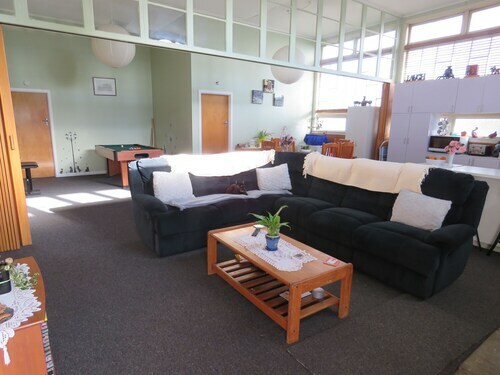 Situated in Taumarunui, this bed & breakfast is 1.5 mi (2.5 km) from Taumarunui Domain and 2.5 mi (4 km) from Rangaroa Domain. Taumarunui Golf Course and Whakapapa and Whanganui River Confluence are also within 12 mi (20 km). 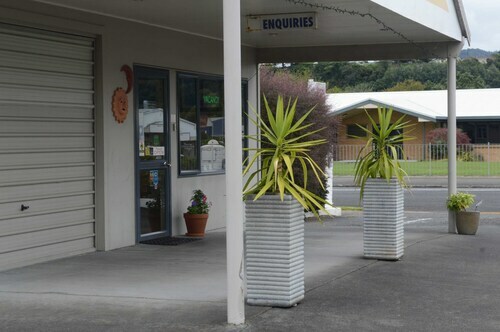 Situated in Taumarunui, this motel is within a 15-minute walk of Rangaroa Domain and Taumarunui Domain. Taumarunui Golf Course is 1.3 mi (2.2 km) away. Situated in Taumarunui, this bed & breakfast is within 9 mi (15 km) of Rangaroa Domain, Taumarunui Domain, and Taumarunui Golf Course. Whakapapa and Whanganui River Confluence and Ohinetonga Scenic Reserve are also within 20 mi (32 km). 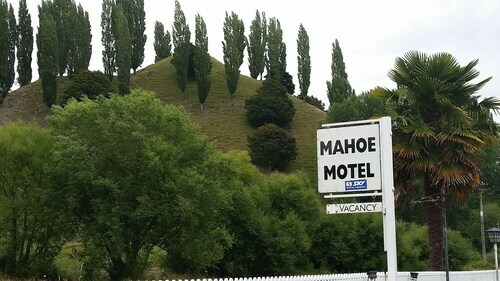 Situated in Taumarunui, this motel is within 1 mi (2 km) of Taumarunui Domain and Rangaroa Domain. Taumarunui Golf Course is 1.6 mi (2.5 km) away. 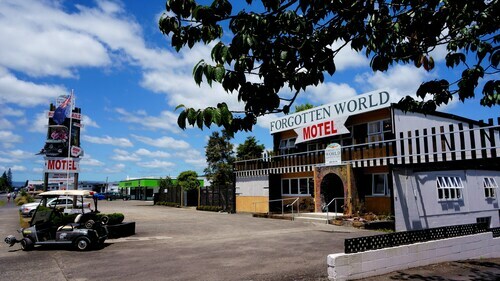 Situated in Taumarunui, this motel is 0.3 mi (0.4 km) from Taumarunui Domain and within 3 mi (5 km) of Rangaroa Domain and Taumarunui Golf Course. Whakapapa and Whanganui River Confluence is 12.1 mi (19.5 km) away. 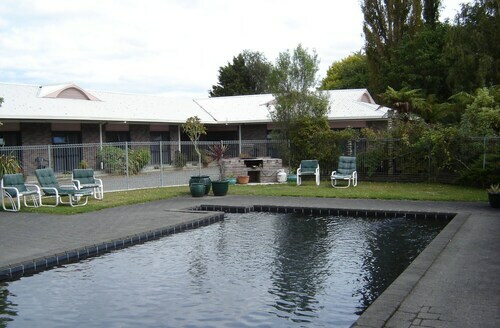 Situated in Taumarunui, this golf motel is within 1 mi (2 km) of Rangaroa Domain and Taumarunui Domain. Taumarunui Golf Course is 1.3 mi (2.1 km) away.